Polish right back who joined Borussia Dortmund in 2010 and helped lead the team to Bundesliga titles in 2011 and 2012; also helped Zaglebie Lubin capture the Ekstraklasa league title in 2007 while on loan with the team. He entered the youth system of Gwarek Zabrze in 2001 and made his professional debut for Hertha BSC in 2004. He became a member of the Polish national team in 2007. 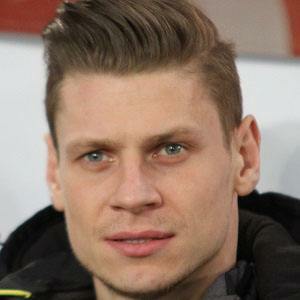 He married Ewa Piszczek in June 2009. They have daughters named Sara and Nel. He played alongside midfielder Mario Gotze on Borussia Dortmund from 2010 to 2013.